Over my travels, there are only four cities in the world, where I have landed exclusively to do a food trip – Bangkok, Delhi, Hyderabad & Kolkata. These are cities where the average meal would score very high on taste, easily available at rock bottom prices and good food not restricted to 1-2 cuisines. Kolkata’s gastronomy has rich influence from Nepal, Bangladesh, coastal diet, its own Bengali cuisine as well as from the British – Kolkata used to be the capital of India around 106 years ago. Hence Kolkata rates high on Chinese food, Biryani, Mughlai, Coastal cuisine as well as its root products. On top, this is a metro where a random half-popular street vendor would blow your mind away … something you can’t say about many other cities. 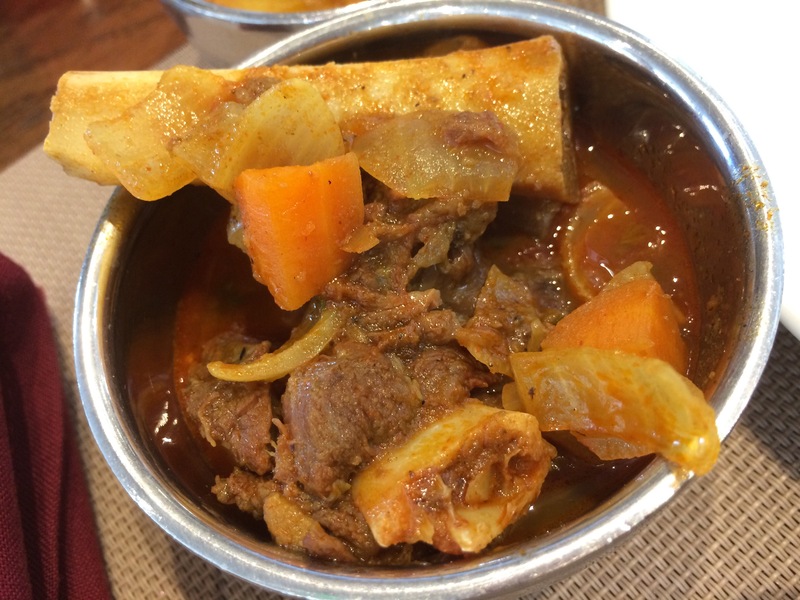 Bengali cuisine is globally a diminishing cuisine. The list of Bengali restaurants are slowly reducing all over the country – Check Chennai, Bengaluru, Mumbai, Hyderabad, Delhi and you will find the number of Bengali restaurants that exist today are a very minor fraction of the percentage of Bengalis staying in the city. Even in the East, the traditional ‘snack and sweet shops’ locally known as ‘Mishtaan Bhandaar’ are pulling down shutters faster. All in the name of unhealthy food. Replacing them are pastry, strudel and cupcakes selling Cafes (of course they are western foods, so must be healthy! ); Italian, Mexican, American and other fast food outlets. Some of my favourite eating places no more exist even in the Eastern metro. 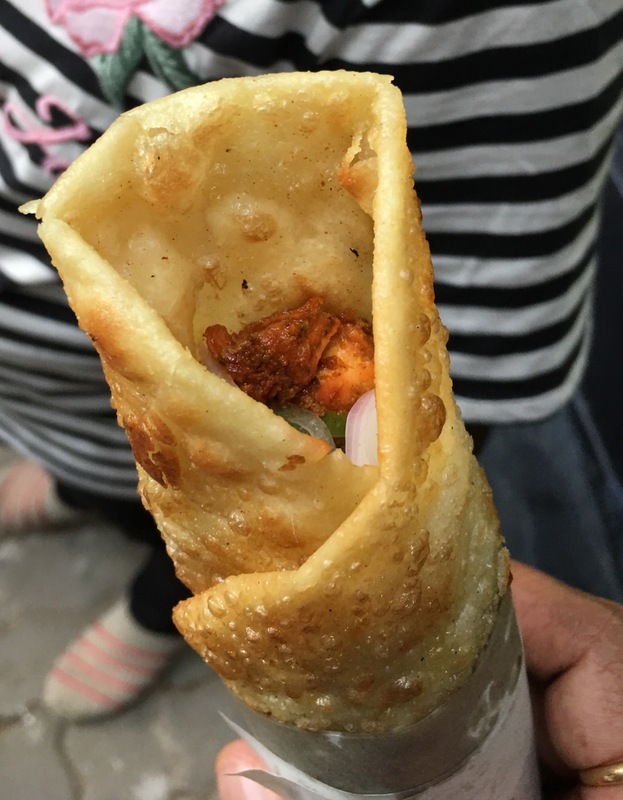 But Kolkata food is what I crave big time and hence here’s list of ten Kolkata specials you must have every time you land. 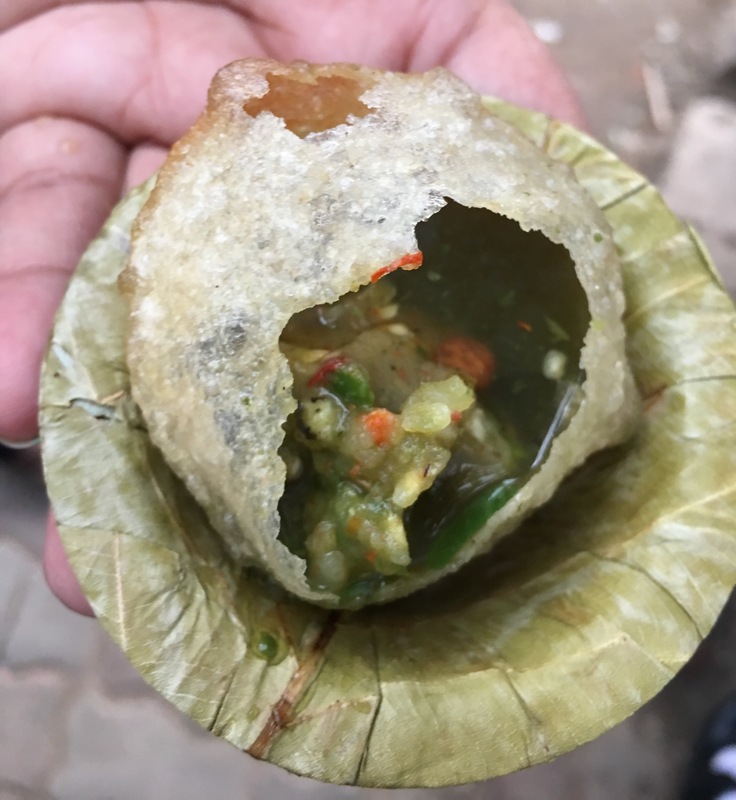 Everyone relates Rossogolla to Kolkata but for me, the number one item in this easy city would be Paani Puri, locally known as ‘Phuchka’. Phuchka from any random Kolkata street vendor will taste million times better than rest of the country. The use of imli (tamarind) water and local spices probably gives them the edge. It’s a rage amongst locals and despite the obvious exposure to unhealthy preparation methodology, it has stood the test of time. A popular Phuchka street vendor still sells more than any air-conditioned outlet selling the same. Kudos to the locals for keeping this alive. As a dish it’s very unique to this part of the world, so should survive. 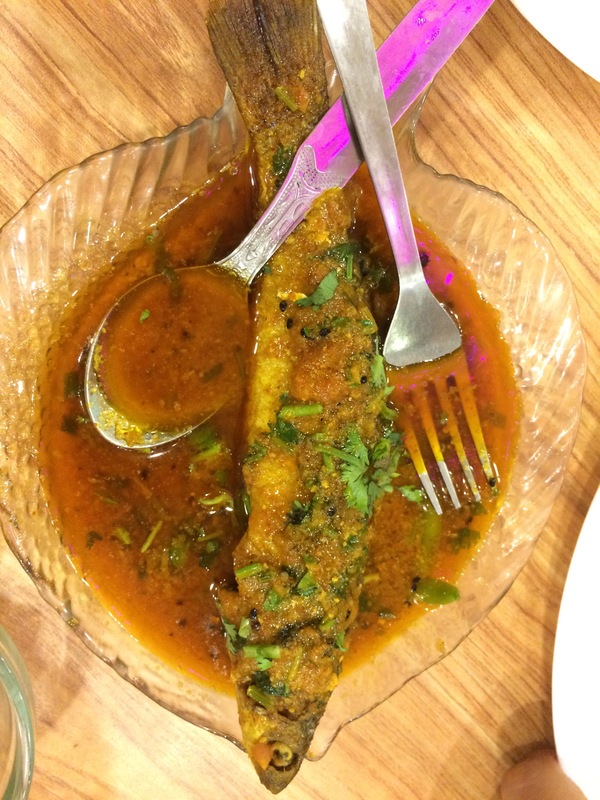 If Phuchka is unique to this part of the world, then yellow mustard fish/seafood dishes are exclusive to limited states in East India only. 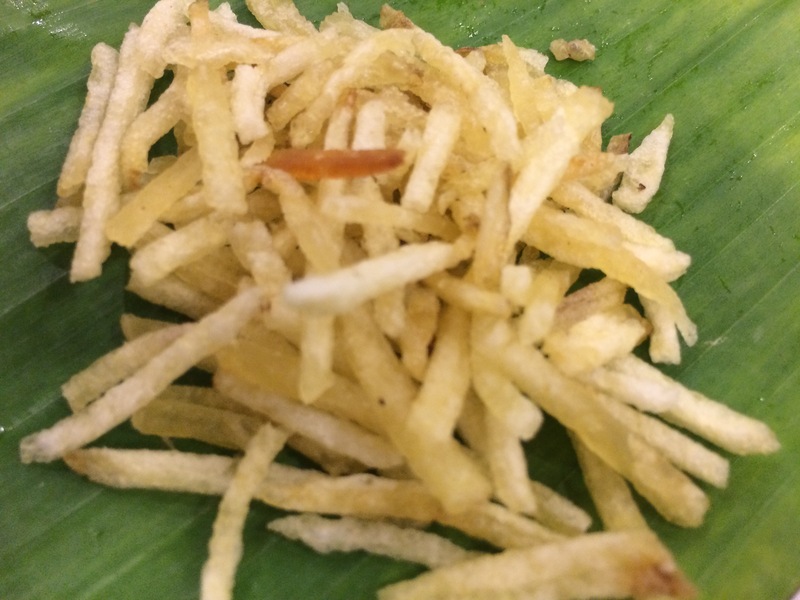 Rich in aroma, taste and one which lingers long after a meal, this is a must eat at Kolkata. Mustard as a spice was being eradicated by western media propaganda, more so with mustard oil. But along with coconut oil, this decade, they are all making a comeback. This dish though may not stand the test of time, it’s already disappearing from general restaurant menus even at Kolkata … so walk over to any Bengali restaurant today. This is another joke. 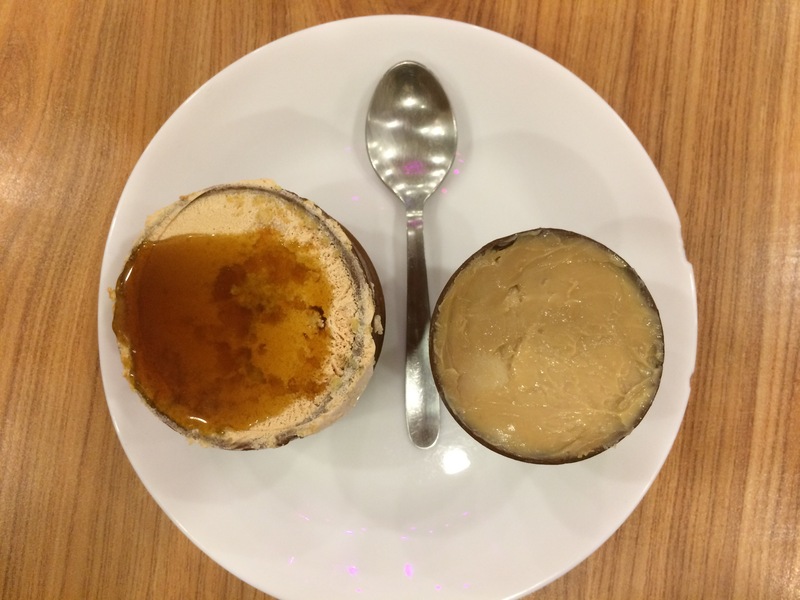 Freshly made curd with natural jaggery for sweetening is fast getting phased out all over the nation, barring West Bengal, and being replaced by chemically induced fruit flavoured yoghurt! Big corporates are laughing all the way to the bank as the traditional Mishti Doi scurry for existence. 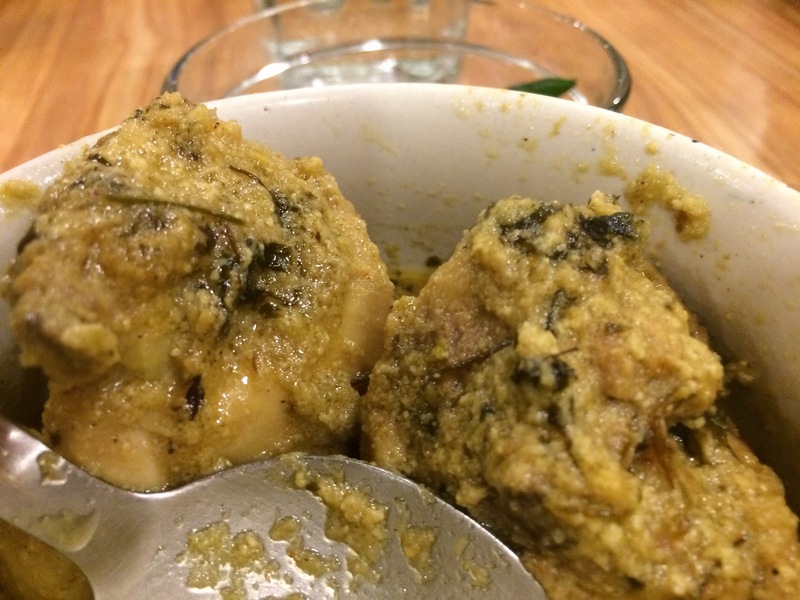 This is something you would have never tasted before, if not accustomed to Bengali food. Must have. Man chow soup – One by Two – a concept which only exists in India! One by two, or even three by five! Chinese food is available throughout the world but the preparation in Kolkata, with Nepal/Tibet/North East India influence, probably makes it the best Chinese food ever found on planet earth. A close second would be Sichuan (South China) cuisine. Just as with Phuchka, any random street vendor at Kolkata would make million times better Chinese food than it’s counterpart in other Indian cities. 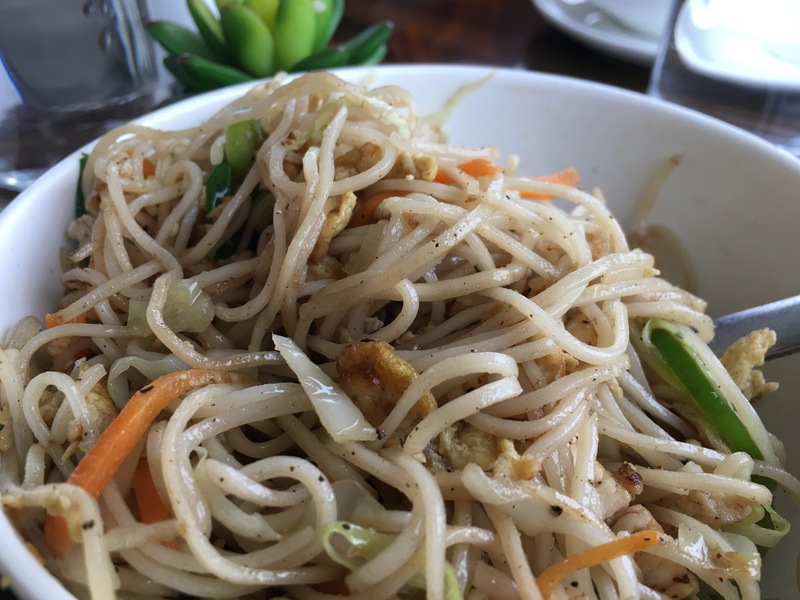 Chicken Chowmein and Manchow soup rock! Man chahe na chahe! Luchi & Kosha Mangsho combination could be the best food combination ever in the history of food! Rajmah-Chawal would be a close second; Idly-Sambhar, Makke ki Roti-Sarson da Saag, Biriyani-Mirchi ka Salon, Daal Baati – Churma would all feature in the top ten. Combination food pairs are more evident in the subcontinent than in the western world, and Luchi Kosha Mangsho – while heavier and richer than some of the ones mentioned above, will top the list. Even the random railway station Luchi – Aloo Torkari ie potato curry stalls will blow your mind away. This probably is the biggest differentiator with Kolkata. A range of cuisines can be picked from random street vendors and would still tantalize your taste buds. 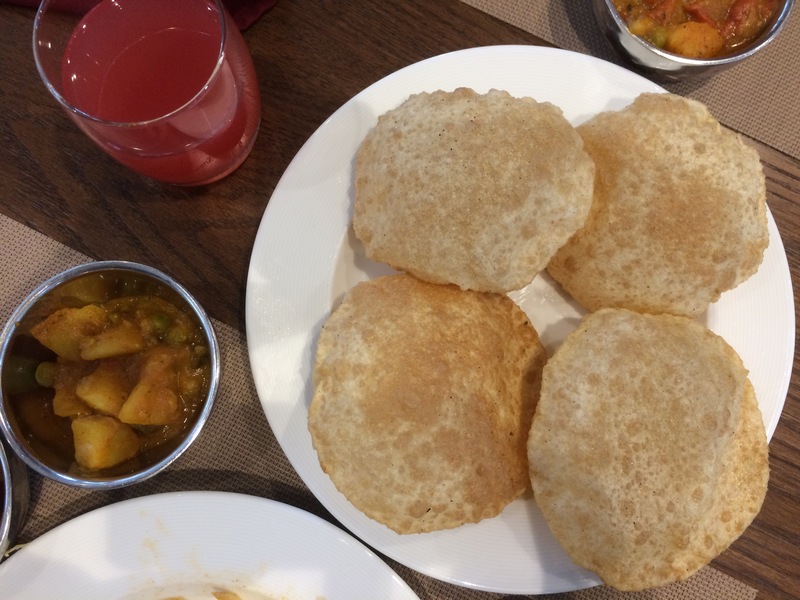 Back in the 1980s, Luchis (or Pooris as is popularly called across India) and Paranthas was available in every hotel breakfast buffet across the country. Today only a certain percentage serve these traditional dishes, mostly replaced by twenty types of bread products items laced with sugar, jams and cheese. Luckily I chanced upon Chinese tourist groups loving it and my guess is a form of Luchi exists in China too. World’s two most populated countries still love the Poori/the Luchi, but am not so certain about the future. Bengalis are sweet people, opinionated, laid back and artistically driven. Dot as their sweet dishes sit in counters. Back in the 1980s, an average sweet shop in East India would be filled with milk sweets. Their showcase would be predominantly white coloured as shopkeepers would try to sell the sweets on the same day. The left overs would then be joined together and fried to Gulab Jamuns, for next day sales. As a kid, we were always advised on how Gulab Jamun fell in the lowest strata in the sweet pyramid and healthier milk sweets must be eaten. Kids suffering from chicken pox, fever or other weakening diseases would be fed with fresh hot Rossogolla for faster recovery. 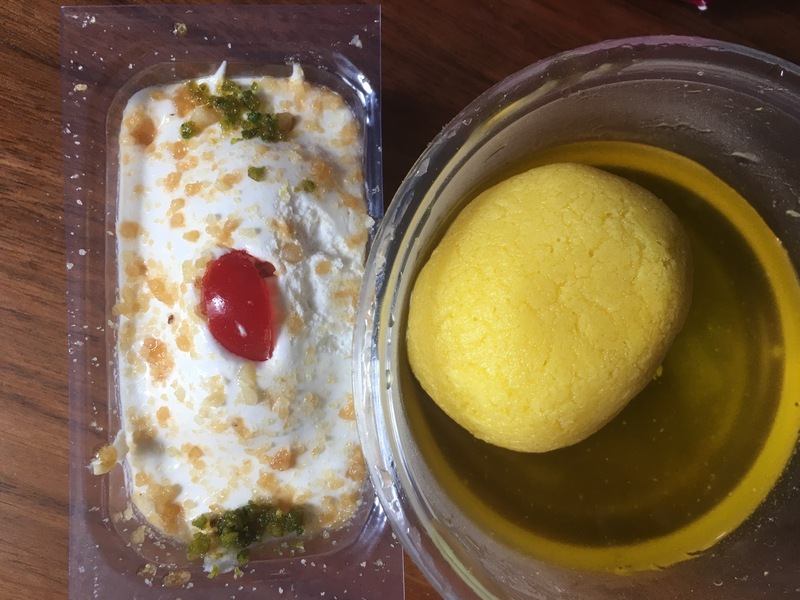 Sadly Bengali sweets are fast fading out and even in Haldiram’s Kolkata counter, I noticed how North & West Indian multi coloured fried sweets are far outnumbering Bengali pure milk sweets. The argument milk sweets need to be consumed fast no more holds good, as the modern generation are salivating on pastries and Western nation branded ice-creams. So try out Bengali sweets before they phase out. Chomchom is good, Sondesh and Kalakund variants excellent, the jaggery rossogolla and komla bhog (orange rossogolla) heavenly. When Luchis/Pooris are diminishing you can expect the rolls to be vanishing faster. Flour flattened, fried with eggs and then rolled over tandoori chicken/mutton chunks with onions and spices layered on, you can expect it to be a highly delicious product. One roll on an average, costs less than one-fourth the price of a pan pizza, has more chicken/mutton chunks it in and an equal sprinkling of vegetables. Yet it’s losing out. Once again, a random Kolkata street vendor would make million times more delicious Rolls than a random cafe selling pizzas. Roll is a complete meal and as long as the oil is good, as in the case of Luchi, you are hitting a jackpot. Hyderabad could be the Biryani capital of the world but Kolkata Biriyani would easily rank amongst top ten Biryanis globally. The ones at Dubai, Pakistan, Hyderabad, Kerala Malabar, Chennai Thalapakattu, Bangladesh & Lucknow Avadhi … all on that same list. Kolkata Biriyani tastes somewhere between the Hyderabadi and Bangladeshi counterparts. The rapidly growing Bangladeshi (and Muslim) population at Kolkata will ensure this dish stands the test of time. However, this dish is best tasted at popular joints and must NOT be tried at random street stalls at Kolkata. 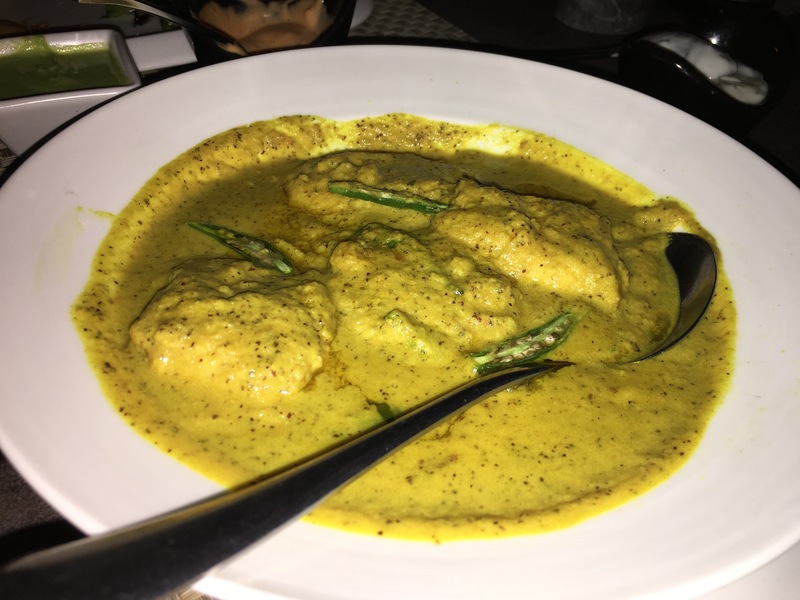 Fish in tamarind curry is extremely popular in West Bengal as well as many parts of South India. That way this isn’t really unique to India but very unique to the globe. The difference in Kolkata is they often make this curry off small river fishes which are very healthy. Fried cutlets are fast making way for puffs and assortment of sandwiches, where the quantity of filling is minuscule. Once again, a random half popular street vendor at Kolkata will be selling steaming cutlets like no other in rest of the country. Kolkata vegetable cutlets (popularly known as chops) are unparalleled and have thick fillings of beetroot, peas and potato. Their non-veg cutlets are basically Keema stuffed and wrapped over by a coating of Besan – ground gram! Healthy. – I leave to my readers to add! Am positive Bengalis and people from East India who find local cuisines rapidly diminishing (Litti Chokha, Patishapta, Doodh Pooli, Muri Ghonto, Kumro Phool Torkari to name a few) would like this piece. Am all for global food and variety of food. But just like when Indians go overseas, they settle in the local culture, I would like India’s local culture and food to be flourishing big than rapidly fall victim to glossy marketing and millionaire dietician lies. Next Next post: Cricket: 20 Jokes – The BCCI Laughter challenge show!